Enhancing the healing process is a natural aspect of propolis which protects the body as it does the beehive. This has been verified in other studies, yet this study focused on more delicate wound healing conditions, such as those of diabetic mice. Thank goodness for the additional antimicrobial properties of propolis to speed along the healing process. Fortunately, there are preparations of propolis available on the market that address wound healing. Impaired wound healing is considered to be one of the most serious complications associated with diabetes as it significantly increases the susceptibility of patients to infection. Propolis is a natural bee product used extensively in foods and beverages that has significant benefits to human health. In particular, propolis has antioxidant, anti-inflammatory and analgesic effects that could be useful for improving wound healing. In this study, we investigated the effects of topical application of propolis on the healing and closure of diabetic wounds in a streptozotocin (STZ)-induced type I diabetic mouse model. 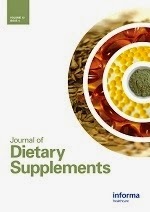 Sixty male mice were distributed equally into 3 experimental groups: group 1, non-diabetic control mice; group 2, diabetic mice; and group 3, diabetic mice treated daily with a topical application of propolis. We found that diabetic mice exhibited delayed wound closure characterized by a significant decrease in the levels of TGF-β1 and a prolonged elevation of the levels of inflammatory cytokines (IL-1β, IL-6 and TNF-α) and MMP9 in wound tissues compared with control non-diabetic mice. Moreover, the wound tissues of diabetic mice showed a marked reduction in the phosphorylation of Smad2 and Smad3 as well as a marked reduction in collagen production. Interestingly, compared with untreated diabetic mice, topical application of propolis significantly enhanced the closure of diabetic wounds and decreased the levels of IL-1β, IL-6, TNF-α and MMP9 to near normal levels. Most importantly, compared with untreated diabetic mice, the treatment of diabetic mice with propolis significantly enhanced the production of collagen via the TGF-β1/Smad2,3 signaling axis in wounded tissues. Our findings reveal the molecular mechanisms underlying the improved healing and closure of diabetic wounds following topical propolis application. New findings from this study reaffirms the protective effects of propolis from radiation exposure. This is quite impressive, as propolis is documented to work well on mucous linings of the body and protecting organs such as the liver, kidneys and spleen. This study builds upon the rich database of research which continues to reveal this substance as an essential adjuvant for patients undergoing radiation therapy. Furthermore, the anti-cancerous effects that propolis also provides should make physicians eager to incorporate propolis in their protocols. The ability of a specially prepared water propolis extract (PWE) to preserve the functional activity of the intestinal mucosa after radiation exposure was studied. PWE was given orally (650mg/kg) to rats five days prior to irradiation by 6Gy and continued for further two days. 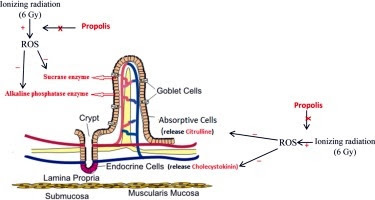 Rats were sacrificed 24h later, intestinal segments were examined histologically and homogenates were used to assess relevant biochemical parameters reflecting intestinal injury. Irradiation led to a rise in the histological damage score, a rise in tissue TNF-α and TBARS, and a decrease in sucrase, alkaline phosphatase, GSH and cholecystokinin as well as a decrease in plasma citrulline. The findings reflect a decrease in intestinal functional activity. PWE preserved the intestinal integrity and largely protected against the changes induced in the histology damage score and all parameters measured, possibly as a result of the antioxidant and anti-inflammatory action of its caffeic acid content. Competing with propolis in the field of dentistry is tough. Propolis responds very well when in contact with mucous linings of the body. This super antioxidant also delivers antimicrobial, antifungal and antiseptic properties which make it very adaptable to numerous conditions found out of balance. A secret in finding good toothpaste is to look for the "propolis. If it's not brown, then it's not significant. In recent years, herbal products have been suggested as an economic, safe and probably effective alternative for prevention and control of various oral diseases. But still there are some products which need to be evaluated. Of lately, Propolis is one such product. To assess and compare the efficacy of herbal dentifrice containing Propolis with Miswak and Colgate total toothpastes in controlling plaque formation. A double blind, randomized, crossover study design was conducted among thirty healthy dental students. After oral prophylaxis all subjects were given a washout product for one week period. Subjects were then made to brush with (washout product) for 1 minute followed by 1 minute brushing with assigned test product. The baseline MGMPI plaque scores were recorded. Subjects were then refrained from oral hygiene for 24 hours, and were recalled to be re-disclosed and re-measured for plaque formation. This procedure was repeated according to crossover design after a washout period of (2 week). Statistical tests used were Krukalwallis and Wilcoxon sign rank test. There was a significant difference in 24 hour score between the test products evaluated. When the change from baseline to 24 hours was analyzed, the test product Propolis resulted in a consistently and significantly (p < 0.05) lower MGMPI mean scores than the Colgate Total and Miswak toothpastes. Propolis was found to be safe and effective in reducing plaque accumulation when compared to Miswak and Colgate total toothpaste. Click here for the complete PDF of this study. An interesting study comparing the antifungal properties of numerous herbal extracts, propolis and prescription drugs against Candida albicans. This study confirms propolis is the most effective in controlling Candida albicans, even though this isn't the first time these results have been achieved. This encouraging news should put propolis on top of the list of every patient dealing with this opportunistic fungi. To determine the effect of propolis on Candida albicans and to compare it with the effects of some other herbal extracts and antibiotics on this pathogenic fungi. The extracts of propolis, Thymus vulgaris, Caryophillium aromaticus, Echinophora platyloba, Allium cepa and Cinnamomum zeylanicum were prepared and the antifungi effects of the extracts were examined on Candida albicans ATCC10231 using disc-diffusion assay and micro-broth dilution. 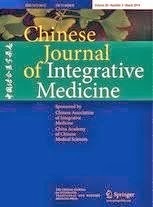 The minimum fungicidal concentration (MFC) and minimum inhibitory concentrations (MIC) as well as inhibition zone were evaluated and the anti fungi effects of herbal extracts were compared with amphotricin B and nystatin at the times of 24, 48 and 72 h. Data analysis was performed using test. Obtained results showed that propolis extract with MIC90 and MFC equal to 39 and 65 µg/mL, respectively, possess the highest antifungal activity when compared with other studied extracts. The extracts of Allium cepa and Thymus vulgaris, with MFC of 169 and 137 µg/mL, respectively, showed the lowest effects on the fungi. Also nystatin and amphotericin B yielded better effects on the tested fungi compared with the effects of all studied extracts on Candida albicans. Propolis extract is effective in controlling Candida albicans. However, the issue requires further investigation on samples in animals and performing toxicological examinations. Royal Jelly possesses many documented bioactive properties and this study found that both fresh and freeze-dried royal jelly is effective against antibiotic-resistant pneumonia. Add this to the fact that it's also a brain-booster, hormone-regulator and an anti-aging compound, not to mention that it boosts red blood cell counts, glucose tolerance and mental health! The alternative use of natural products, like royal jelly (RJ), may be an important tool for the treatment of infections caused by antibiotic-resistant bacteria. RJ presents a large number of bioactive substances, including antimicrobial compounds. In this study, we carried out the chemical characterization of fresh and lyophilized RJ and investigated their antibacterial effects with the purpose of evaluating if the lyophilization process maintains the chemical and antibacterial properties of RJ. Furthermore, we evaluated the antibacterial efficacy of the main fatty acid found in RJ, the 10-hydroxy-2-decenoic acid (10H2DA). S. pneumoniae in spinal fluid (digitally colored). Chromatographic profile of the RJ samples showed similar fingerprints and the presence of 10H2DA in both samples. Furthermore, fresh and lyophilized RJ were effective against all bacteria evaluated; that is, the lyophilization process maintains the antibacterial activity of RJ and the chemical field of 10H2DA. The fatty acid 10H2DA exhibited a good antibacterial activity against Streptococcus pneumoniae. Therefore, it may be used as an alternative and complementary treatment for infections caused by antibiotic-resistant S. pneumoniae. Yet another synergistic effect from consuming bee products. This is an important update to a previous study that identified lactic acid bacteria present in honey, bee pollen and bee bread. This human trial, even though small, reveals great promise for those needing immune system support, complementing the medical community's interest in the connection between the immune system and a healthy gut. J Appl Microbiol. 2015 Jun 29. doi: 10.1111/jam.12889. To identify lactic acid bacterial isolates that promote IgA production in honeybee products and honeybees (Apis mellifera). Pyrosequencing analysis of the microbiota of honeybee products and honeybees revealed the predominance of Lactobacillus kunkeei in honey, bee pollen, bee bread, and royal jelly. L. kunkeei was isolated from bee pollen, bee bread, and honey stomach, and its effect on IgA production was evaluated in vitro. Heat-killed YB38 and YB83 isolates from bee pollen promoted IgA production in mouse Peyer's Patch cells and had little mitogenic activity or effect on IL-2 production in mouse spleen cells in comparison with Listeria monocytogenes, which does exhibit mitogen activity. A pilot study in 11 healthy adults showed that 4-week intake of 1,000 mg/day heat-killed YB38 increased SIgA concentrations and secretion in saliva with no adverse effects. Heat-killed L. kunkeei YB38 from bee pollen increases IgA production and may safely improve immune responsiveness. This is the first report of microbiota analysis of royal jelly and the immune efficacy of L. kunkeei from honeybee products in humans. Recognized world wide that honey is more than a food but also medicine, this new study finds these monofloral honeys to possess specialized healing properties, in particular concerning gastric ulcers. In fact, oak and chestnut honeys inhibit enzymes which cause gout, gastritis, cardiovascular disease and peptic ulcers. 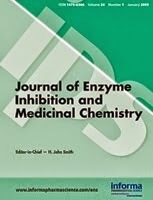 The aim of this study was to evaluate new natural inhibitor sources for the enzymes urease and xanthine oxidase (XO). Chestnut, oak and polyfloral honey extracts were used to determine inhibition effects of both enzymes. In addition to investigate inhibition, the antioxidant capacities of these honeys were determined using total phenolic content (TPC), ferric reducing antioxidant power (FRAP), and DPPH radical scavenging activity assays. Due to their high phenolic content, chestnut and oak honeys are found to be a powerful source for inhibition of both enzymes. Especially, oak honeys were efficient for urease inhibition with 0.012-0.021 g/mL IC50 values, and also chestnut honeys were powerful for XO inhibition with 0.028-0.039 g/mL IC50 values. Regular daily consumption of these honeys can prevent gastric ulcers deriving from Helicobacter pylori and pathological disorders mediated by reactive oxygen species. Propolis provides a very good quantity of antioxidants and has important protective effects on internal organs, in particular the liver. This study confirms propolis reduced hypertension by preventing blood vessels from restricting blood flow even when under the influence of a drug that induces vasorestriction. A commonly found trait in propolis is its ability to protect and heal, along with anti-inflammatory and antimicrobial properties, it's an important adjuvant agent. 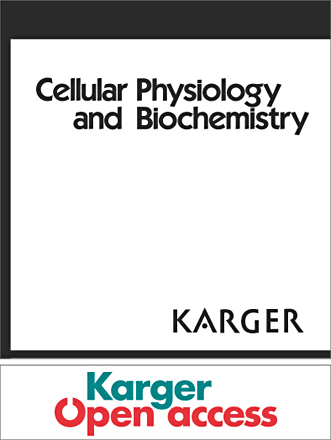 The blocking of nitric oxide synthase (NOS) activity may cause vasoconstriction with formation of reactive oxygen species. Propolis is a natural product collected from plants by honeybees. Propolis has biological and pharmacological properties. 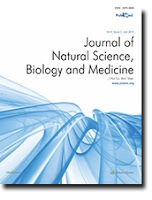 This study was designed to investigate the effects of propolis on catalase (CAT) activity, nitric oxide (NO) and malondialdehyde (MDA) levels in the liver tissues of NOS inhibited rats by Nω-Nitro-L-argininemethyl ester (L-NAME). Rats were given a NOS inhibitor (L-NAME, 40 mg/kg, intraperitoneally) for 15 days to provoke hypertension and propolis (200 mg/kg, by gavage) the last 5 of the 15 days. decreased (p < 0.01). That parameter did not significantly alter in the liver of rats treated with propolis compared to the control group. CAT activity and MDA levels in the liver of the rats administrated L-NAME significantly increased compared to the control group (p < 0.01). 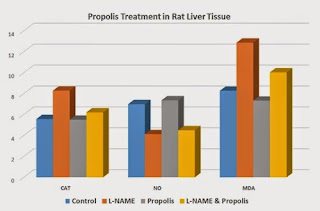 These parameters significantly decreased in the liver of the rats given L-NAME + propolis compared to the L-NAME group (p < 0.01). The present data shows that L-NAME in the liver may enhance oxidative stress via inhibited nitric oxide synthase. 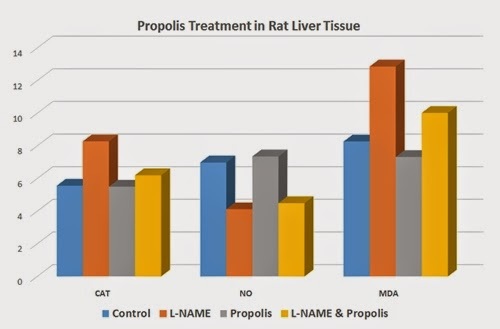 Our results also suggest that this effect is suppressed by the antioxidant properties of propolis in the liver tissue of NOS inhibited rats. Click here for the complete study. Protective properties of honey are frequently understated. This study found Ziziphus honey outperformed a leading antibiotic in eliminating a common parasite. A very important result, especially in developing countries where water supplies aren't reliable. In fact, Giardiasis is the most common pathogenic parasitic infection in humans worldwide. Natural honey contains an array of glycoproteins, proteoglycans and glycopeptides. Size-exclusion chromatography fractionated Ziziphus honey proteins into five peaks with molecular masses in the range from 10 to >200 kDa. The fractionated proteins exhibited in vitro activities against Giardia lamblia with IC50 values ≤ 25 μg/mL. Results indicated that honey proteins were more active as antiprotozoal agents than metronidazole. This study indicated the potential of honey proteins and peptides as novel antigiardial agents. Interest in propolis is mounting rapidly and its role as an adjuvant is a consistent finding in complementary and alternative therapies. Moreover, its ability to cause cell death or apoptosis in tumor cells is irreproachable, especially considering that it has no negative side effects. Propolis is a bee-metabolized resinous substance (bee glue) from plant sap and gums. It has been in usage as a healing agent since antiquity, yet has not garnered global popularity as a health promoter. Its biological effects, which range from antimicrobial, antioxidant, anti-inflammatory, antidiabetic, dermatoprotective, anti-allergic, laxative and immunomodulatory to anticancer, have been validated. Propolis has shown efficacy against brain, head and neck, skin, breast, liver, pancreas, kidney, bladder, prostate, colon and blood cancers. The inhibition of matrix metalloproteinases, anti-angiogenesis, prevention of metastasis, cell-cycle arrest, induction of apoptosis and moderation of the chemotherapy-induced deleterious side effects have been deduced as the key mechanisms of cancer manipulation. The components conferring antitumor potentials have been identified as caffeic acid phenethyl ester, chrysin, artepillin C, nemorosone, galangin, cardanol, etc. These compounds target various genetic and biochemical pathways of cancer progression. Depending on the botanical sources and the geographical origin, biological activities of propolis vary. Despite phenomenal development in cancer research, conventional therapy falls short in complete malignancy management. 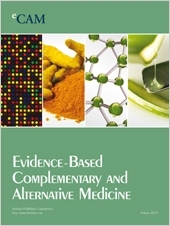 The findings obtained so far build hope that propolis as a complementary medicine may address the lacunae. This review documents the recent advances and scope of amendement in cancer remediation with adequate emphasis on the mechanistic aspect of propolis. Resistance of pathogenic microorganisms to antibiotics is a serious global health concern. In this review, research investigating the antimicrobial properties of honeys from around the world against skin relevant microbes is evaluated. A plethora of in vitro studies have revealed that honeys from all over the world have potent microbicidal activity against dermatologically important microbes. Moreover, in vitro studies have shown that honey can reduce microbial pathogenicity as well as reverse antimicrobial resistance. Studies investigating the antimicrobial properties of honey in vivo have been more controversial. It is evident that innovative research is required to exploit the antimicrobial properties of honey for clinical use and to determine the efficacy of honey in the treatment of a range of skin disorders with a microbiological etiology.